When it comes to ad slogans, not much in recent years has hit the sweet-spot as precisely as Fever-Tree's. Because, if you've seen one of the mixer brand's ads on the Tube, chances are you agree with the sentiment: "If three quarters of your gin and tonic is the tonic, make sure you use the best." 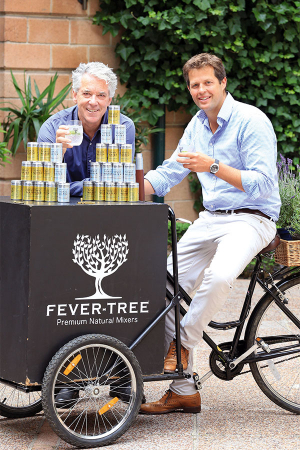 That was the message, and the ethos, that the embryonic Fever-Tree started out with when Tim Warrillow and Charles Rolls set up the brand in 2004, and it's been on a meteoric rise ever since. "We had both realised that there was this extraordinary gap in the mixer category, specifically tonic water," explains Warrilow. "Whereas premium spirits had been growing and growing all around the world, and consumers were becoming ever better educated, ever more interested, and paying more money for good-quality spirits." Considering the frenetic pace at which the bar and drinks industry is expanding at the moment, it's strange to think such an opportunity could have existed. But, as Warrillow explains, "the mixer category had remained dominated by one global brand, who had really revelled in the fact that they had no competition for generations. Really the only battle they had been fighting was with the own-labels in the supermarkets, and so they had just spent all their time cost-engineering, with no real regard for quality or flavour. So there we were thinking 'this is absolutely extraordinary: people are spending more money on a great spirit, yet they have no choice but to drown it in this increasingly artificial mixer.'" 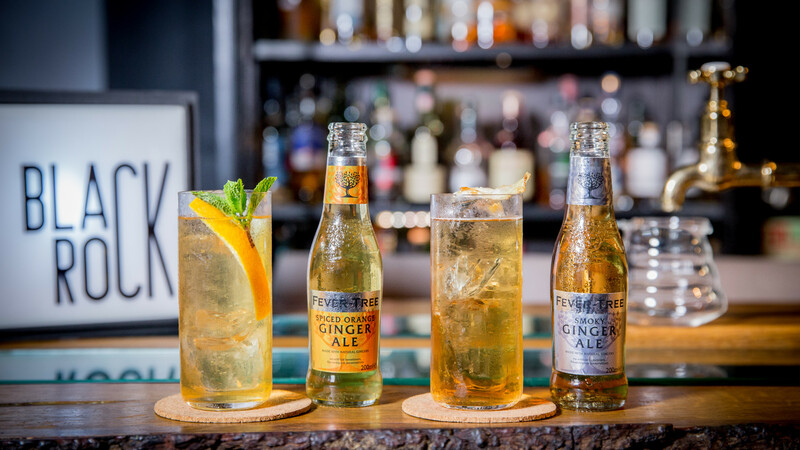 As well as the first product it launched – Indian tonic water – Fever-Tree now has a presence across the mixers category, from the flavoured tonic variants to lemonades, a whole range of ginger beers and ginger ales, and even cola. 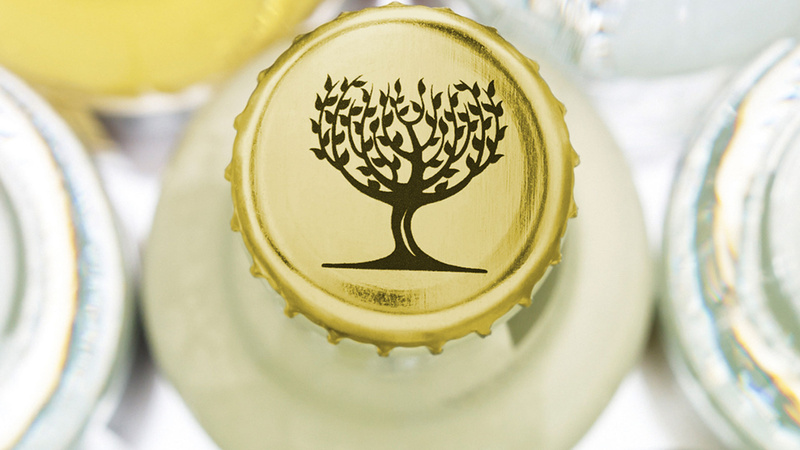 If there's a singular reason for Fever-Tree's rise to near dominance of the premium mixers category – both in the drinks industry and in the consumer market – it's this: until they entered the market, no other mixers brand was creating products with a firm emphasis on flavour over price. Now, 13 years after it was launched, its mixers are the partner of choice for most spirit brands, big or small; according to data research company IRI it holds a 28% share of the total retail mixer market in the UK (not just the premium category, which it firmly dominates); and as well as being the tonic of choice for almost all of the venues in the World's 50 Best Bars list, you're now hard-pressed to find a pub that doesn't stock it, too. As you'd expect, this is not just down to good fortune; nor is it a rags-to-riches story as such (and what riches they are – in April of this year, it overtook Britvic as the most valuable soft drinks company in the UK, worth a staggering total of £1.8bn). Both of its founders were old hands in the industry: Rolls was the man at the heart of the contemporary rebirth of the historic Plymouth Gin, and Warrillow's background was luxury food and drink marketing. But regardless of prior expertise or experience, it was still a typical start-up, at least in terms of its scale: "We had no one when we set up – it was literally Charles and me," says Warrillow. "It really did start in the British Library, researching the history and ingredients of tonic – and then we went out to go and find them." 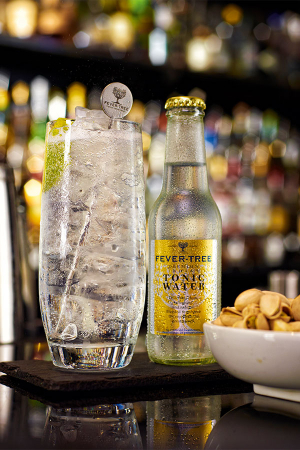 This is what's at the heart of Fever-Tree's constant pursuit of flavour: just like the brands that have been at the epicentre of the 2010s' booming craft spirit market, Fever-Tree uses quality ingredients sourced from all around the world, with no compromise on quality. Shortly after their period of extensive research in 2003, and aided by Rolls' extensive knowledge of sourcing botanicals and ingredients for Plymouth Gin, the two started going and seeing them for themselves. "We suddenly came to find this wonderful world of people who were out and about finding fantastic, natural ingredients," Warrillow recounts. "And they in turn were excited, because we were going to them and saying 'look, we are developing a new tonic water, and we want to develop the best. Don't worry about the price – we just want to get the best ingredients that we can.' Historically, the only time that anyone had talked to them about tonic was a supermarket going 'we want a tonic water but we're only prepared to pay you this amount for it.' We were looking at it very differently. "So we suddenly realised there was this amazing world – it took me to the Democratic Republic of Congo to find quinine, Charles was out in the Ivory Coast hunting for this wonderful fresh green ginger – and we continue to travel all over to source these ingredients. I hope it's reflected in the flavour, but it's certainly reflected in the fact that we've helped breathe interest back into this category, which in turn has made people more interested in gin and tonic." 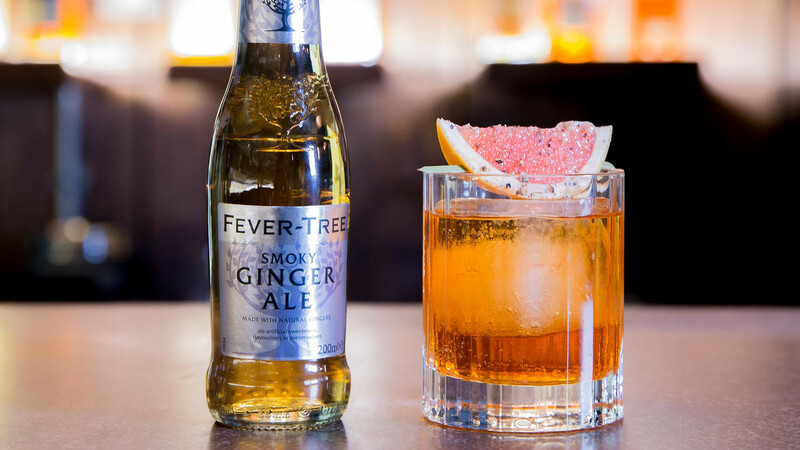 Fever-Tree's range might now include myriad products and flavours, made to match with a whole range of spirits, light and dark (more on that later), but unquestionably, the cocktail that drove its success was the first one it looked to address: the humble G&T. And, although both gin and tonic are thought of as quintessentially British products, it was actually Spain that Warrillow remembers playing the key role before it hit the mainstream in its homeland. Warrillow recounts a story by which a bottle of Fever-Tree's first product made its way into the hands of legendary Spanish chef Ferran Adrià shortly after it was launched: "We got a call from Ferran, who told us 'At last someone is taking this category seriously. How can I get hold of this in my restaurant?' Actually the great gastronomes there in Spain all loved gin and tonic. It was their signature drink, they made it in these big balloon glasses, they really celebrated it, and they used Hendrick's and Fever-Tree. That really helped put gin and tonic on the map." The clincher, as Warrillow points out, was turning the humble G&T into a prestige product that bars could really celebrate. "It allowed them to say 'We serve it differently now – there's more ice in it, there's more fanfare, it tastes better, and everyone has a better time drinking it'." Shortly after, Waitrose got in touch, and the rest, as they say, is history – the craft gin revolution happened, and Fever-Tree's story since then is a steady rise to prominence and then dominance, brought about by approaching the bar trade as they would if they'd made a spirit – letting bartenders fall in love with it, and the effect of that trickling down to consumers thirsty for a mixer that allowed the gins they so coveted to shine. 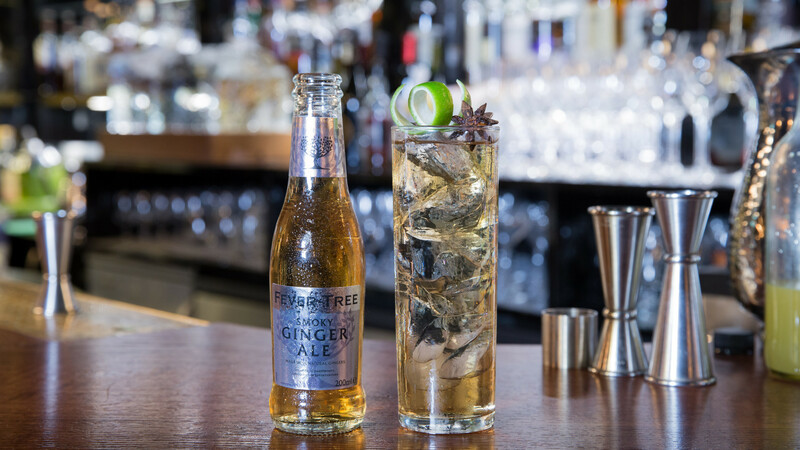 Black Rock's famous house-blend whisky pairs perfectly with both Fever-Tree's spiced orange and ginger and the smokey ginger ale. 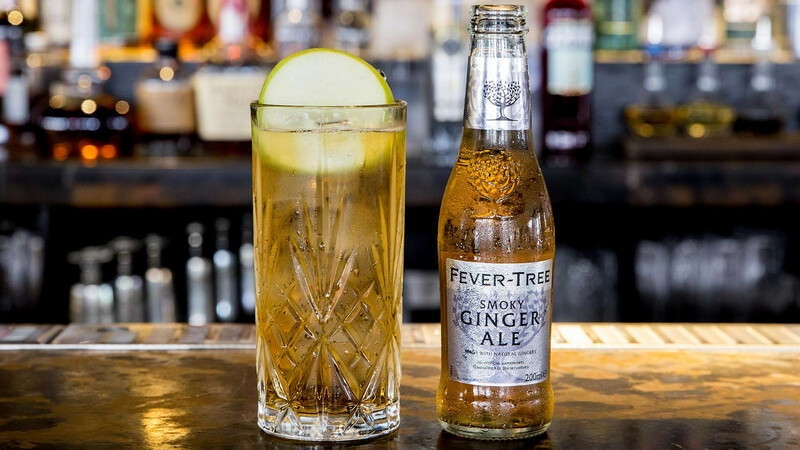 Smoky ginger ale meets Laphroaig 10 year old in Swift's signature Fever-Tree-inspired serve. So what now? In the time since they launched, Warrillow estimates more than 70 premium mixer brands have been launched by brands big and small, yet none can claim anything like the success that the inimitable market leader can. As the UK's most profitable soft drinks company, Warrillow admits they're in a better place to influence market trends now than ever, and they remain no less ambitious. As Warrillow rather bashfully puts it, "We've got a bit of distribution scale, reach and reputation behind us, so we think we're in a more interesting position now to really explore lots of other opportunities. Gin and tonic – where we've been very focused, particularly in the UK and Europe – actually only accounts for 6% of global premium spirits sales. Dark spirits account for ten times that." You might be able to see where this is going. A gap in the market, a spirit category looking for an able deputy to make up its classic long drinks. If three quarters of your… Well, you know the rest. "The quality of mixers available for these dark spirits is pretty poor and pretty limited," says Warrillow, "so that's why we're quite excited about the development of our dark spirit range, which includes a smoky ginger ale, a spiced orange ginger ale, a ginger beer, a cola, and more. That's an enormous opportunity. Now we've got a brand that I think can really help communicate that message more quickly. And the dark spirit companies are saying, 'If you're going to do this, we'd like to work alongside you." Whether the accomplishments in the gin category that propelled Fever-Tree to unparalleled success can be replicated with a whole world of other spirits remains to be seen. What's certain is this: if they can make it happen, they'll hit some truly eye-watering heights. And with their track record, you'd probably back them, wouldn't you?